I was thinking about finding another job somewhere else. I was working for NB coal LTD and I didn’t like to work there. I started to look for another place to work. 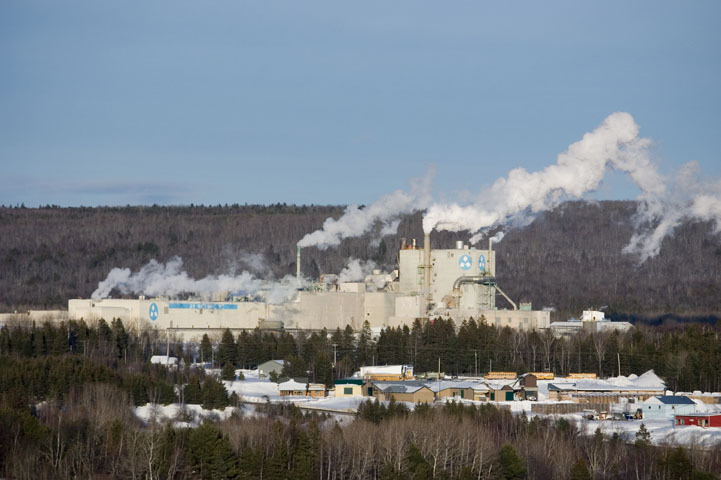 I went to see the department of labour and I told them that I would like to come to Nackawic to work at St Anne Pulp and Paper LTD. I want to go to school so I could upgrade my education. I wanted to get my industrial mechanic license. The guy I was talking with told me that I had to have a grade 10 education to qualify for those courses. I went back home, two weeks later he called me and told me that I had to go to school until I had my grade ten. He would then give me a chance to take my industrial mechanic course. I went for about three weeks. He called me one day and he asked me why don’t you take your books, you’re close to Nackawic. I went to the mill to see the person that did the hiring. They told me no, I couldn’t do that. I went to see my brother Leonard, he was working. I went back over to his house that afternoon and waited for him to come home. Around five o’clock he came home. I told him what happened that day and he told me that he had to go back to work that night and he wanted me to stay overnight. When he came home that evening he told me I had an appointment for eight o’clock in the morning with the superintendent. I went to the mill with my brother. I went up in the office he told me wait a few minutes and I said ok. He asked me what I was capable of doing, I told him just about anything. I could do mechanical work. He asked me how many years I was doing that kind of work. I have been doing mechanics from the time I was 14 years old. He said l will let you know in a couple weeks. That was on Thursday, he told me he would tell my brother and he could let you know. On Sunday evening my brothers Leonard called me and told me they had no job for me. I said to my brother, that’s ok I still have a job. When he told me that, I wasn’t too upset, and then he laughed and told me that I could come to work on Monday. I told him I can’t go tomorrow but I can go on Tuesday.